I love sweet bread with my coffee in the morning and let me tell you, this is the BEST Lemon Blueberry Bread Loaf recipe I’ve had. 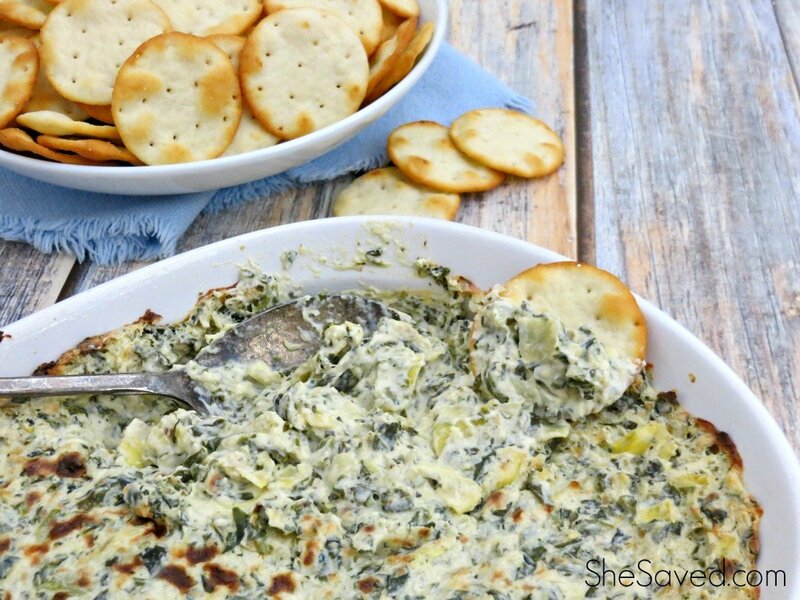 It comes together fairly quickly and has this wonderful lemon flavor. 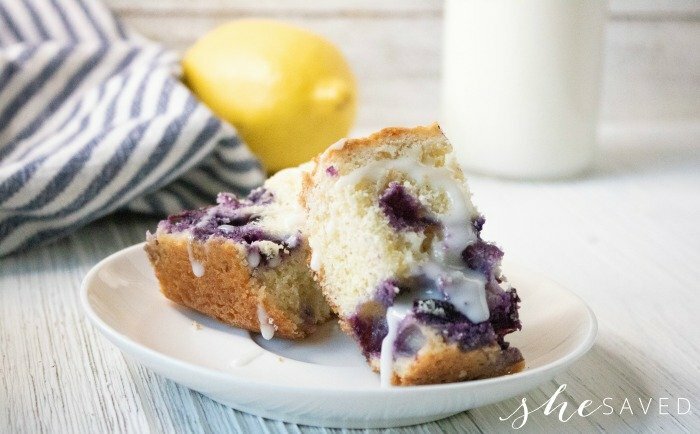 Mixed with yummy blueberries and that lemon frosting, it’s just so good! I’ve also tried this same lemon blueberry bread recipe in muffin tins and they turn out nicely as well, in the event that you would rather do that than make loaves. Muffins are definitely easier for grab and go but the loaves are perfect for weekend breakfasts and they also make nice little gifts. Who doesn’t love a yummy loaf of homemade bread? 1. Preheat oven to 350 degrees. Spray a loaf pan with non-stick cooking spray. 2. Cream together the butter and sugar and then add in the beaten eggs. Add in the lemon zest. 3. Fold in flour and ground almonds and then stir in the lemon juice and blueberries. 4. Pour into loaf pan, scattering a few extra berries over the top. 5. Bake for one hour, checking for doneness with a toothpick. 6. Mix lemon juice and powdered sugar to make a glaze, Add additional lemon juice if a thinner glaze is desired. 7. 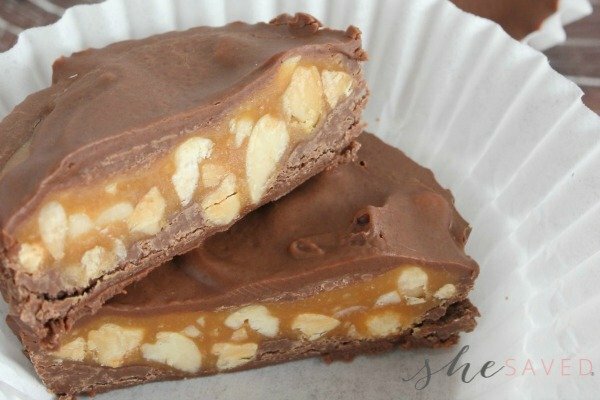 Cut into 8 slices and then cut each slice into 6 bars, which makes the perfect size for serving on a dessert tray or cookie platter. 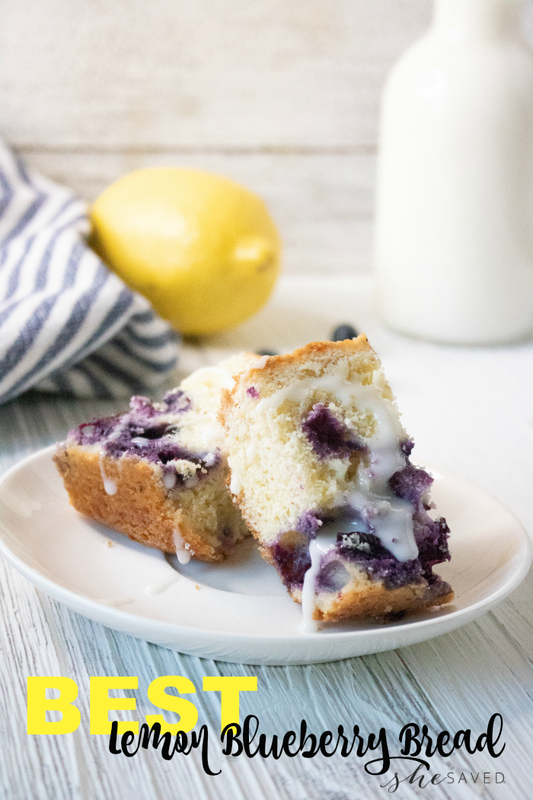 This lemon blueberry bread recipe also makes a wonderful little addition to a bake sale. We’ve made the tiny loaves and sold them for a couple bucks each and this one is always a best seller, especially if you package it really cute with a little yellow bow. Cream together the butter and sugar and then add in the beaten eggs. Add in the lemon zest. Cut into 8 slices and then cut each slice into 6 bars, which makes the perfect size for serving on a dessert tray or cookie platter. « Has Your Email Been Compromised? Check Have I Been Pwned to Find Out!